* This is your arrival day to Miami. * Check in at your complimentary Miami Hotel no later than 4PM. Hotel details will be provided upon confirmation of your booking. * We will be holding our orientation meeting at 7PM over cocktails by the lobby area. * Dinner will be on your own. * After an early breakfast time permitting our group Leader will meet with you at the hotel Lobby and we will depart promptly to the Miami International Airport for check-in. Expect to wait for 2-3 hours prior departure. * Our short flight to Havana will only take approximately 45 minutes. “””WELCOME TO CUBA””!!!!. You have arrived and now the experience of a life-time will begin. * Depending on your flight Schedule expect to wait 1 hour to get through Customs and claim your luggage. * The day begins with a Driving tour of the modern City. Have a first look at many of the sites we will revisit on our trip. 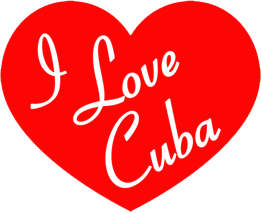 Including: The Malecon, the Hotel Nacional, the Havana Libre-Hilton Hotel, the University of Havana, The Cemetery of Christopher Columbus, the Revolution square and the American Embassy. This tour will provide you with a preview of many of the sites and sounds that Havana has to offer. * Depending on your arrival time a welcome ( Lunch or Dinner will be at The Aljibe Restaurant ). This is a popular open air restaurant in Havana. * Explore for the rest of the day on your own. * After breakfast the day will start with Walking tour of the Old Havana including the main refurbished squares. * People-to-People Interaction: Visit with a local Architect Expert on the Renovation of Old Havana for an informative interview. * Visit ( The Museum of the City ) with its history on the colonial life. * Visit a ( Cigar factory & Store). * Return to the Hotel. * Night out for ( Cannon Blast Ceremony ) with the explanation on its history. * People-to People Interaction: Visit the Community and learn about the local traditions and crafts. * Later enjoy An hour long drive along ( Tour of the city on American convertible vintage cars ). * Get in the action and Experience a Salsa lesson by locals. * In the afternoon you will join a Hemingway themed tour visiting many of the places Papa frequented to include ( El Floridita – La Bodeguita del Medio- Hotel Ambos Mundos). * After breakfast we will visit Art galleries in town including ( Fusterlandia – Sandra Dooley & others ). * People-to-People Experience: Afternoon visit to a local Agro market in Jaimanita. * Visit to the ( Almacenes San Jose ) an enormous Arts and Crafts Market where you will find anything from paintings, pottery, wood carvings and souvenirs. * Visit ( Buena Vista Social Club ). * After breakfast depart to ( Viñales Valley referred to as “The garden of Cuba ” ). Some of The best tobacco in the world is grown here. * ( Lunch in Palenque de los Cimarrones restaurant ). * Breakfast at the hotel and check out. * Transfer to the airport.